Those fireworks you heard Sunday night were set off offshore of Pier 26 in Manhattan over the Hudson River. They wrapped up Gay Pride Week in New York City. The Gay Pride Parade took place earlier today, and a concert was held in conjunction with the fireworks. The parade commemorates the June 28, 1969, Stonewall Riots. This year Gov. Cuomo marched in the parade. The fireworks you heard last night in Brooklyn were set off at the projects in Bed-Stuy and were quite the display, though illegal. From the scanner: Rescuers from the Marine Batallion were rushing towards Pier 1 at the World's Fair Marina in Queens at 9:48 p.m. Sunday night. The report came in first as a drowning. 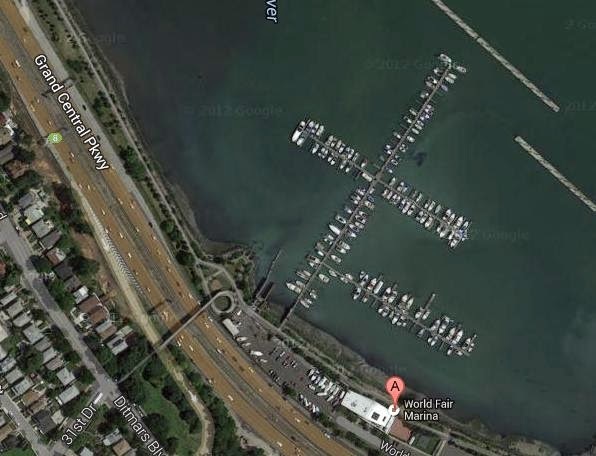 Further reports discusses an unconscious person on a white boat near Pier 1. Marine Batallion said the tide was incoming and estimated their ETA for 5 minuts. UPDATE: Oddly enough, at 10:38 p.m. on Sunday, FDNY was called again to the World's Fair Marina for a report of an odor of gas, on the Marina Road. 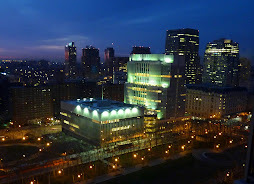 As expected, the SUNY board of trustees on Wednesday approved the sale of Brooklyn's Long Island College Hospital (LICH) to a developer. The scene became downright bizarre as the trustees congratulated each other for wrecking, closing and selling northwestern Brooklyn's only hospital and deepening Brooklyn's healthcare crisis. Even odder, they expressed the notion that their their long, self-inflicted nightmare is over. 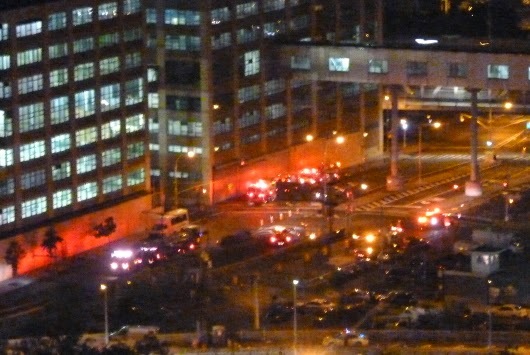 One hour later, a car crashed feet away from the closed LICH. One man died, a second victim had to be transported to a hospital in Sunset Park. Get your popcorn and watch the show as the Board of Trustees of SUNY officially pulls the kill switch on LICH tomorrow morning. You can run out to Manhattan to watch it live, or you can watch it livestreamed for all posterity. Cuomo is already handing out the plums. Meet the trustees. Perhaps you'll recognize them next time they visit Brooklyn! 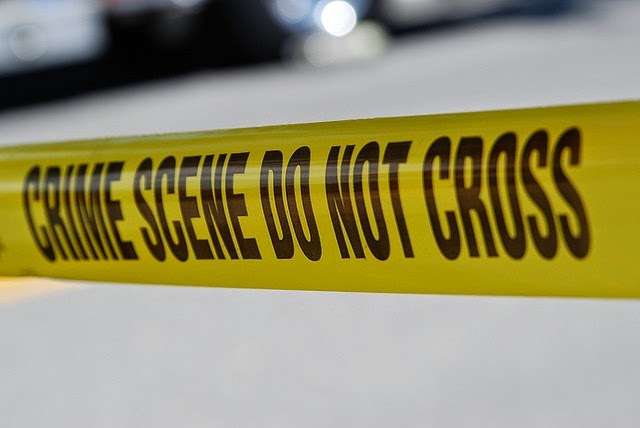 * A report was called in at 10:25 p.m. Monday that 12 shots were fired near 545 Prospect Place at Classon to Franklin in Prospect Heights, Brooklyn. The caller said there was a possibly that the shots originated "on the block behind" -- St. Marks Avenue. * More shots fired at Putnam at Throop in Bedford-Stuyvesant about 10:45 p.m. Monday. NYPD first checked out Marcus Garvey and found nothing, moving to Putnam and Throop at 10:54 p.m.
* Also: Monaco to Throop, Bed-Stuy child abuse, 10:46 p.m.
* Franklin, Fulton, Lefferts: Emotionally disturbed person punching and kicking people, talking loudly to himself. Male, black. 10:55 p.m.
* Oxford and Atlantic Avenue: Disorderly group. (Dispatcher wants to know if anyone is available.) 10:56 p.m.
* Long Street and Ash Place: Male down. 10:56 p.m.
* Still more shots reported in Queens at 145 Ave and 167 to 175 St at 10:46 p.m.
* 4 shots fired at Albany and Fulton in area of Albany Projects. Unknown shooter. 11:07 p.m. Calling for a 79 unit to respond. 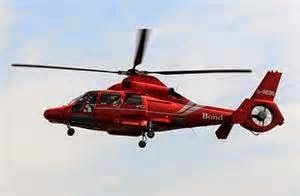 * Level one mobilization on Gowanus Expressway. * Franklin and Park Ave. Dispute. Marcy and Thompkins. Dispute. 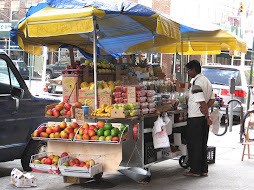 Rochester Ave,. and Lincoln Terrace Park. Possible stabbing. Call a bus. * East New York and Buffalo: stabbing. 11:15 p.m.
UPDATE: 11:19:New York and Buffalo: looking for 5 males, one wearing yellow shorts, running Eastbound on East New York Avenue. Call ambulance, lot of blood. OK, bus on the way. UPDATE: Do we know where this guy got stabbed at? Corner of Buffalo and East NY. UPDATE: 11:24 p.m. We got multiple stabbings, one at Buffalo and ENY, 2 inside the park (Lincoln Terrace Park ). Have a bus inside the park. UPDATE: 11:29 p.m. From ENY, he's going to Kings County and he's likely. UPDATE: Still looking. 11:51 p.m. Rochester Avenue Eastern Terrace Park. UPDATE: Confirm male stabbed. Looking for 5 male perps. 11:55 p.m.
* 872 Macon Street, Saratoga Ave. unconfirmed shots fired out apartment window at that location. 11:25 p.m.
* 4 to 5 shots fired location unknown.11:25 p.m. E168 St Shermon (Sheraton) Ave.
* 345 Classon Ave., De Kalb and Lafayette: female caller says someone's getting jumped inside the building. Are any housing police available? 11:36 p.m. Any available? Man getting jumped inside the building. * Traumatic injury on firefighter at firehouse. 11:39 p.m.
* Permission to go to St. Barnabas (in the Bronx)? 11:41 p.m.
* Does anyone know sign language for the 77th squad? 11:42 p.m.
* Grand Ave and Atlantic. Property. Job came in 11:16. Call going out 11:54 p.m.
* Q: Do you have an ETA (estimated arrival time) on that bus (ambulance)? 11:58 p.m.
Another voice: We'll have to check back with EMS. Standby. * 106 Ryerson Ave between Park and Myrtle, 2005 Silver Ford E350 vehicle stolen. 12:03 a.m.
* Shots fired Park Place. 12:05 a.m.
* Dispatcher, give me one, I'm on the landline. Give me just one, K.
* (Garbled) Two TA employees fighting inside of the tower at that location. * (Code 39) trespassing 1515 Sterling, Rochester and Buffalo on the cross. 12:10 a.m.
* Accident BQE between Atlantic Ave and Cadman Plaza East, DOT vehicle and a tractor trailer. No one pinned. 12:12 a.m.
* (Dispather says) I have seven jobs: I have someeone missing, I have a 52 family at Prospect Place, I have a property, I have a disorderly group Lincoln Place , I have a 53 with injuries at Atlantic Ave. two vehicles, a red Jeep Liberty and green Mercedes; I have criminal mischief at St Johns and Franklin; and a vehicle broken into on Atlantic. 12:21 a.m.
* I have a (code) 54 heavy bleeder at 85 Thompkins Ave, Matin Luther King. EMS on sceen. Can I have a housing unit? 12:22 a.m.
* I have a (1010) narc, 972 Myrle Ave, several people in the hallways and on the roof smoking marijuana. 12:22 a.m.
* I have a call for help on Throop, and a stolen vehicle on Franklin and Park. 12:22 a.m.
* At 198 Putnam, Bedford and Nostram, a disordly female black, throwing garbage.12:24 a.m.
UPDATE: SOmeone takes the job at 12:32 a.m.
* 139 Montague Street robbery from a restaurant. (Custom House) We're holding him (suspect) by the subway corner of Court and Joralemon. We have the complainant also. 12:34 a.m.
* Rescue batalion, water rescue. Location unknown. 12:35 a.m.
* Vernon and Marcy, two vehicles parked on sidewalk, 2 males involved, one working on the vehicle, one standing in front. 12:35 a.m.
* One under, Lincoln Place and Bedford Ave. 12:38 a.m. This stream is now ended for the night. * This excellent crime scene tape photo was originally attributed to the wrong photographer, who listed it on his Flickr favorites page. We apologize to the actual photographer, Tex Texin, and thank him for allowing us to use it in this post. Check out more of Tex's photos here. From the scanner: Marine units have been called to the waterfront in DUMBO near John and Adams streets (near the Manhattan Bridge), after a report of someone possibly in the water. Marine units said the tide was moving in an uptown direction. The call came in arounf 10:10 p.m.
Tuesday is primary day for many congressional districts in Brooklyn. Polling places open 6:00 A.M. to 9:00 P.M. If you don't vote in the primary, you might end up with someone you don't want in the general election. 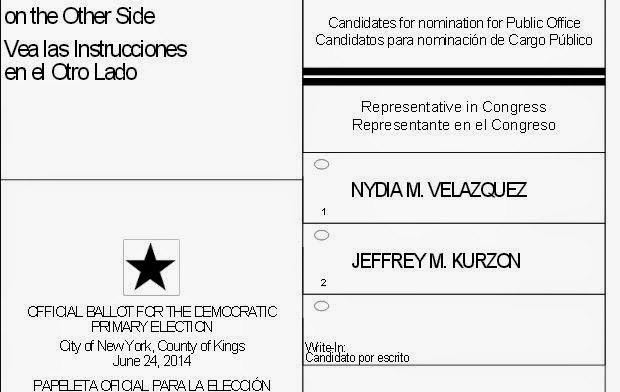 In Brooklyn Heights, Bushwick, Navy Yard, Cobble Hill, Carroll Gardens, Red Hook, Sunset Park (and other District 7 parts of Brooklyn), Jeff Kurzon is challenging Nydia Velazquez. You can find your polling place by calling the voter Phone Bank at 1-866-VOTE-NYC or by entering your address here. Have you seen this woman? 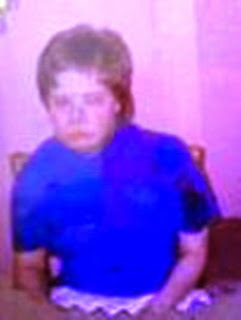 NYPD has issued a Silver Alert for the disappearance of Danielle Selig, age 44, a small, white woman with Down Syndrome. She was last seen at a doctor's office located at Gallatin Place and Fulton Street in Downtown Brooklyn at approximately 12 PM on Saturday, June 21. Ms. Selig is not able to speak. She is described as 4'6" tall, 90 lbs., with red hair and green eyes. She was last seen wearing a pink shirt, pink pants, and white gloves. She lives at Manhattan and Greenpoint Avenue in Brooklyn. If you see Ms. Selig, please call 9-1-1. It was the annual Third Thursday in June invasion of Morris dancers, wearing bells on their legs and waving scarves as they danced Thursday night on the Brooklyn Heights Promenade. There was also a female Morris dance team in a similar vein and a mixed sword dancer team, all accompanied by stringed instruments and accordians. 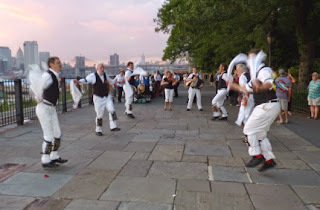 Morris dancing is a very old spring custom. THIS is what people were doing Thursday night at the recently-opened Chocolate Works chocolate factory at 110 Montague St. in Brooklyn Heights. 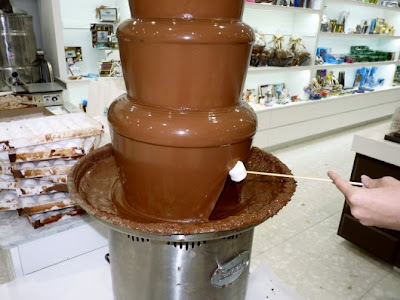 We don't know how long this will last but as of last night a person could just walk in off the street, stick a marshmallows on a skewer and dip it in the deep, rich, molten chocolate cascading down this fountain. Naturally we had to buy a couple of the homemade truffles . . . There are also chocolate dipped cookies, homemade fudge, chocolate-covered pretzels and old-fashioned candy, plus a party room where kids or adults can learn to make their own chocolate. Cool thing: you can have them make corporate logos, business cards, and curiosities (like rings or shot glasses) out of chocolate. More photos of the shop and its wares here. 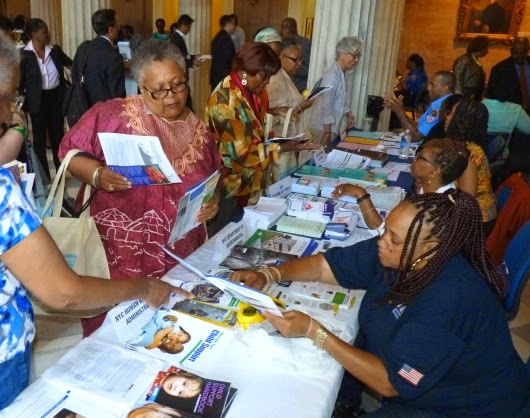 Neighborhood organizers and block association presidents from across Brooklyn gathered information from a host of city agencies and private companies at the “One Brooklyn Resource Fair” hosted by BP Eric Adaams at Brooklyn Borough Hall late Thursday. The community fair was held in partnership with a host of organizations including the Board of Elections, Citizens Committee for NYC, Center for New York City Neighborhoods, Brooklyn District Attorney’s Office, Mayor’s Community Affairs Unit, Department for the Aging, Department of Buildings, and many more. Want to ride to the beach on real vintage subway cars? 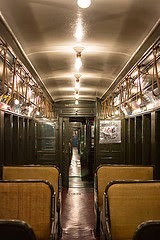 On Saturday, July 12 vintage subway cars dating all the way back to the 1930s will transport straphangers back in time and out to Coney Island for a memorable day at the beach. One of the Museum’s most treasured traditions, Nostalgia Rides offer the chance to experience New York transportation history firsthand. This trip will feature Independent Subway System (IND) R1-9 cars. The R1-9 cars look and feel quite different from what we ride today, with rattan seats, paddle ceiling fans (installed before the age of air conditioning), incandescent light bulbs, roll signs, and period advertisements. The IND opened in 1932 as the first subway company operated by the City of New York, with a mission to move large numbers of people quicker than its private competitors, Interborough Rapid Transit (IRT) and Brooklyn-Manhattan Transit (BMT). After the vintage ride, passengers can cool off at the beach, snack on a Nathan’s Famous hot dog, or brave the Cyclone. Aly "Sunshine" and Johnny "Wheels"
The Brooklyn Kids Block Party series takes place every third Thursday of the month at Albee Square from 10 - 11 a.m. This singer/songwriter duo likes to share songs about mommy, baseball, boo boos, animals, trains and other cool kid stuff. Also: On Saturday, June 21, Making Music New York comes to Albee Square and Willoughby Plaza for a day-long celebration of music-making the whole family will enjoy. 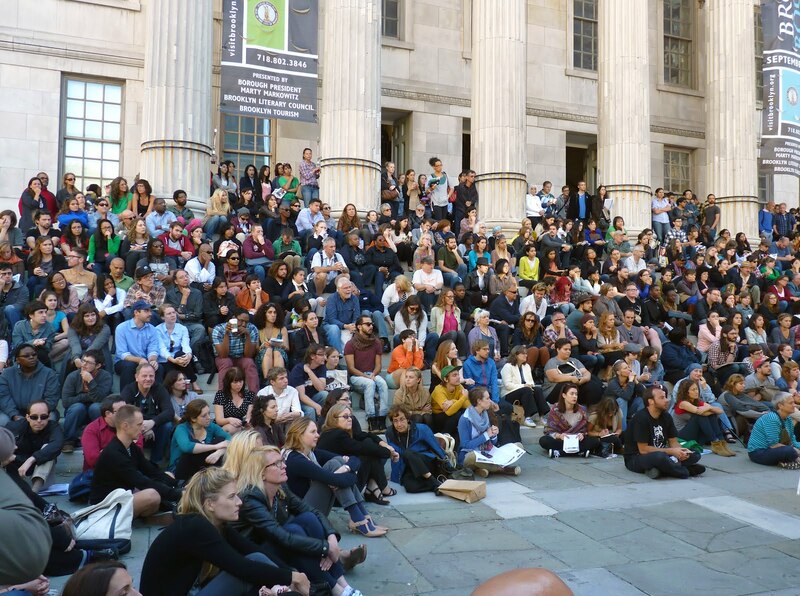 Now in its eighth year, Make Music New York is a festival of 1,000+ free concerts in public spaces throughout the five boroughs of New York City, all on June 21st, the first day of summer. On Thursday at 5:00 PM, Brooklyn Borough President Eric L. Adams will host the “One Brooklyn Resource Fair” inside Brooklyn Borough Hall. This event will bring representatives from nearly forty city agencies, community organizations and utilities providers into what Borough Hall calls "one of New York City’s largest community fairs this year." According to a release, residents will receive opportunities "to learn how to turn their communities into successful neighborhoods, block by block." The community fair will be held in partnership with the Board of Elections, Citizens Committee for NYC, Center for New York City Neighborhoods, Brooklyn District Attorney’s Office, Mayor’s Community Affairs Unit, Mayor’s Office of Immigrant Affairs, MTA New York City Transit, Commission on Human Rights, Department for the Aging, Department of Buildings, Department of Environmental Protection, Department of Finance, Department of Housing Preservation and Development, Department of Parks and Recreation, Department of Sanitation, FDNY, NYC Human Resources Administration, NYS Homes & Community Renewal, NYPD, Office of Emergency Management, Office of the City Comptroller, Office of the State Comptroller, Patients for LICH, U.S. Veterans’ Affairs, American Red Cross, Bridge Street Development Corporation, NextDoor, Brooklyn Botanic Garden, Neighborhood Economic Development Advocacy Project, Neighborhood Housing Services of Bed-Stuy, Neighborhood Housing Services of East Flatbush, Cablevision, ConEd, National Grid, Verizon and Municipal Credit Union. 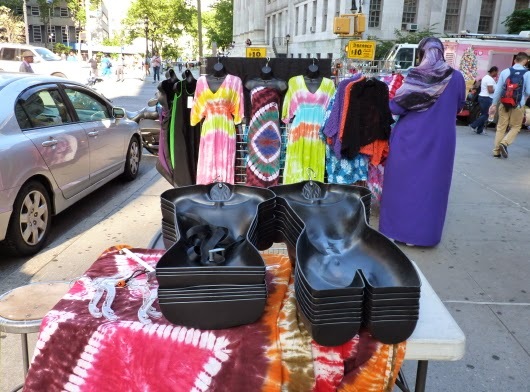 These shapely plastic body forms were stacked up in Downtown Brooklyn on Monday. When assembled, the forms are stuffed inside dresses to produce the illusion of a body inside there. Late Monday night, a number of Brooklyn engine companies -- including 205, 207 and 118 -- responded to an automatic alarm in the basement at the Jehavah Witness factory building at 220 Water Street between Jay and Bridge Streets, at the entrance to the Brooklyn Bridge. They tore around the building, then parked outside. Ten minutes later, they had all departed. Apparently, a false alarm. At 12:01 a.m., technically early Tuesday a.m., the alarm went off again. At 12:03 we heard fire engines rushing to the same location. Cuomo to Brooklyn: Screw You. LICH to Be Replaced with Condos. Governor Andrew Cuomo has given the finger to Brooklyn and will be personally responsible for countless deaths as he prepares to hand over Long Island College Hospital (LICH) to a real estate developer for luxury condos. Even as Downtown Brooklyn is exploding with tens of thousands of new residents and towers are clogging the skyline the governor has ruthlessly and cunningly given away a 156-year-old asset, and one vital to the health of the fastest growing region in the fastest growing county in all of New York State. When the next blackout / flood / terrorist attack wipes out three or four neighborhoods in Manhattan, LICH won't be there like it was during September 11, Superstorm Sandy and the big flu outbreak. LICH was a pediatric surge hospital. When a couple of hundred kids come down with something awful at Brooklyn Bridge Park, guess the strongest will survive. 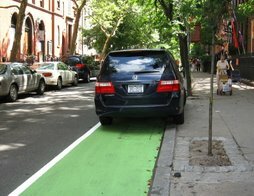 As much as Mayor de Blasio tries to whitewash this, he let us down. 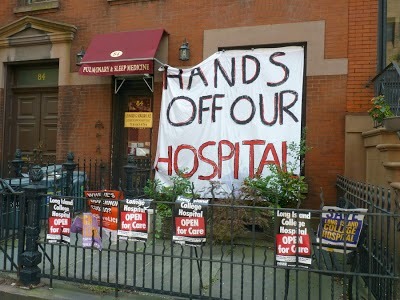 His slogan, "Hospitals not condos" got him votes here in Brooklyn. Then he dropped us like a hot potato, and offered his endorsement to the man responsible for killing LICH. A borough scorned is a borough that will burn you during the next election. State Supreme Court Justice Johnny Lee Baynes rejected the community groups' and doctors' request to throw out some fishy proposal rankings that were submitted by evaluators during SUNY's third attempt to sell Long Islnd College Hospital (LICH). Judge #9, the evaluator who most outrageously disrespected the RFP (which called for evaluators to rank hospitals higher than non-hospitals) ranked every hospital proposal 0, including the proposal by the successful Prime Healthcare Foundation hospital chain. He awarded full points, however, to Fortis real estate developer. Judge #9 was paid over $60,000 by SUNY for mediating. There's a stink from Newtown Creek to the Gowanus, and it's not coming from the water. Those fireworks you heard going off in the rain tonight (Friday, June 13) over NYC, New Jersey and Brooklyn were set off over Federal Anchorage, Ellis Island by the Strategic Events and Partnerships Division of CBS Radio. There are many mysteries at the Strategic Events and Partnership Division. UPDATE: We have beeen informed by the the Strategic Events and Partnerships Division that the Division handles CBS RADIO’s signature programs that provide audiences and advertisers with one of a kind experiences with their favorite artists, sports stars, newsmakers and CBS RADIO personalities. 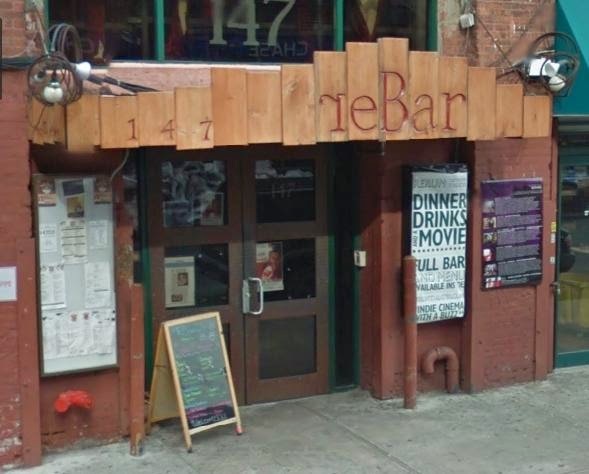 It's been a busy couple of days for Jason Stevens, owner of DUMBO's now-shuttered reBar restaurant. The man who infamously ruined the wedding plans and financially wiped out hundreds of couples pleaded guilty to grand larceny and criminal tax fraud in connection with stealing sales tax. He is going to prison for up to a decade, and he has entered a tentative agreement to pay more than $1 million in restitution to couples who booked their weddings at the popular Front Street establishment. We should have known things were going south when they shut down the ramen booth at reBoot. 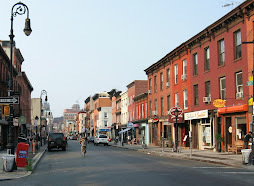 The Brooklyn Book Festival and Brooklyn Literary Council announced more than 100 national and international authors who will be at the next Brooklyn Book Festival, on September 21, 2014. Chaudhuri, Misty Copeland, Andre Dubus III, Jules Feiffer, Joshua Ferris, Brian Floca, Roxane Gay, Mary Gordon, Brandon Graham, Pete Hamill, Dan Harris, A.M. Homes, Ann Hood, Siri Hustvedt, Leslie Jamison, Chip Kidd, K'wan, Kiese Laymon, Jonathan Lethem, Ayana Mathis, Rebecca Mead, James McBride, Terry McMillan, Dinaw Mengestu, Joseph O'Neill, Darryl Pinckney, Philippe Petit, Paul Pope, Christian Rudder, Rebecca Stead, R.L. Stine, Edmund White, Colson Whitehead . . .
“Year nine and kicking at the Brooklyn Book Festival as we continue our mission to produce a free annual world-class literary festival that appeals to huge audiences young and old, New Yorkers and visitors alike," said Johnny Temple, chair of the Brooklyn Literary Council. This year's festival will again take place at Brooklyn Borough Hall and nearby venues including the Columbus Park, Brooklyn Historical Society, Brooklyn Law School, St. Ann and the Holy Trinity Church, and St. Francis College. 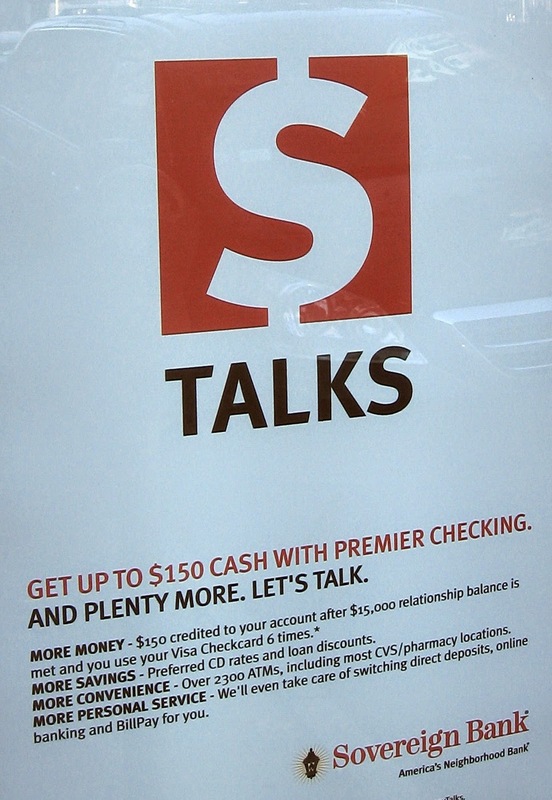 Can you sell your idea during just a short elevator ride? Four entreprenuers walked away from Brooklyn’s first Elevator Pitch Competition with prizes for the best pitches. Out of 53 initial submissions, 12 were chosen to pitch in two categories. Each finalist had 90 seconds to pitch their venture to a panel of judges and an enthusiastic audience. 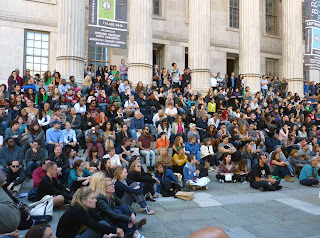 Winners were announced to a large gathering at Huge Brooklyn. 1st place – Martina Campbell – Burn Finder… find the fitness classes you want! To see what they won, visit BKSTARTUPS. Are you the type that likes to climb, wriggle, run and splash through mud and obstacles to prove you got what it takes? There is a modified form of this useless athletic activity however, and it's happening in Brooklyn on June 21 at Aviator Sports: the 5K Foam Fest, where you run through a course full of mud, foam, and obstacles. One obstacle, for example, is a two-story jump onto a stunt bag, like James Bond did in SkyFall. (Don't worry, there's a bulls eye.) There's also a cool mesh rope Monkey bar thing. That actually looks fun! You'll need at least five people to form a team. State Supreme Court Justice Johnny Lee Baynes reserved his decision regarding Long Island College Hospital (LICH) at Brooklyn court on Tuesday, meaning he put it off for a while. Maybe Justice Baynes is waiting for the same thing everyone else is -- a little support from Mayor Bill de Blasio, who was all into saving LICH when he was running for Mayor, but all into ignoring it after getting elected. De Blasio's spokesperson had a hard time even expressing support yesterday for the simple idea of a community needs survey -- something that may have been de Blasio's idea such a long, long time ago . 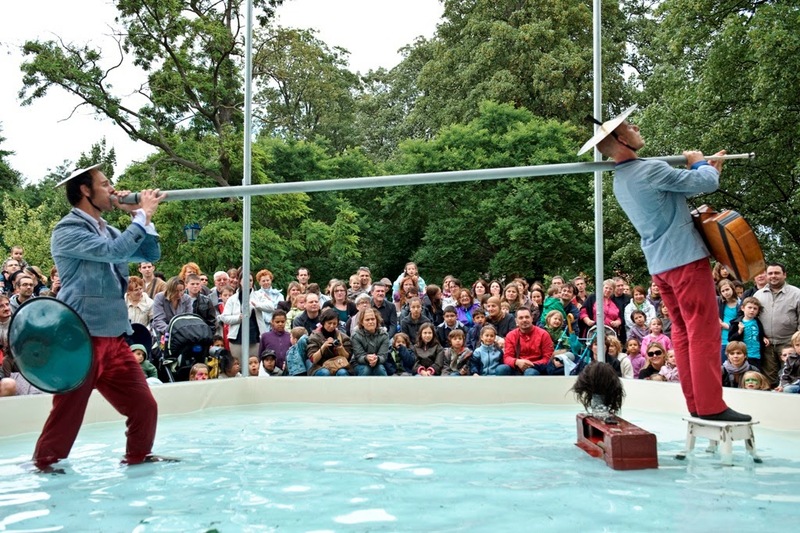 . .
SummerStage Kids presents Brooklyn Family Day on Saturday, June 21 and Sunday, June 22, featuring France's acclaimed Barolosolo Cirkus Company as they premiere "île O." It's described as a mash-up of "modern physical theater around their kiosk-pool, moving from comic to absurd in a universe filled with aquatic poetry and music." The simplest premise: one man likes getting wet, the other does not. The stage is a pool of water three feet deep. Families will also have the opportunity to participate in interactive workshops of circus arts, face painting and more. On Tuesday, community groups, doctors and the Public Advocate will continue arguing their case for Long Island College Hospital (LICH) before Justice Baynes at state Supreme Court in Downtown Brooklyn. The groups, which have been fighting LICH’s closure since January 2013, say that some of the RFP bid evaluators did not follow the rules laid out by the court. A number of other court actions have been entered or are being contemplated. More at the Brooklyn Eagle. 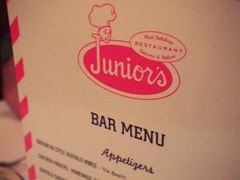 The NY Times reports with evident awe that a 1,000-foot tower may replace the building Junior's now inhabits. That could be close to 100 stories filled with new residents. * Another 11 are under construction and 16 are in development, with an expected 12,500 units. * The 515-foot Brooklyner, a 414-unit tower opened in 2010. * 388 Bridge Street, completed this year with 378 apartments, is 590-feet tall. They don't mention the similar explosion in development in DUMBO and the new towers going up in Brooklyn Bridge Park and Brooklyn Heights. 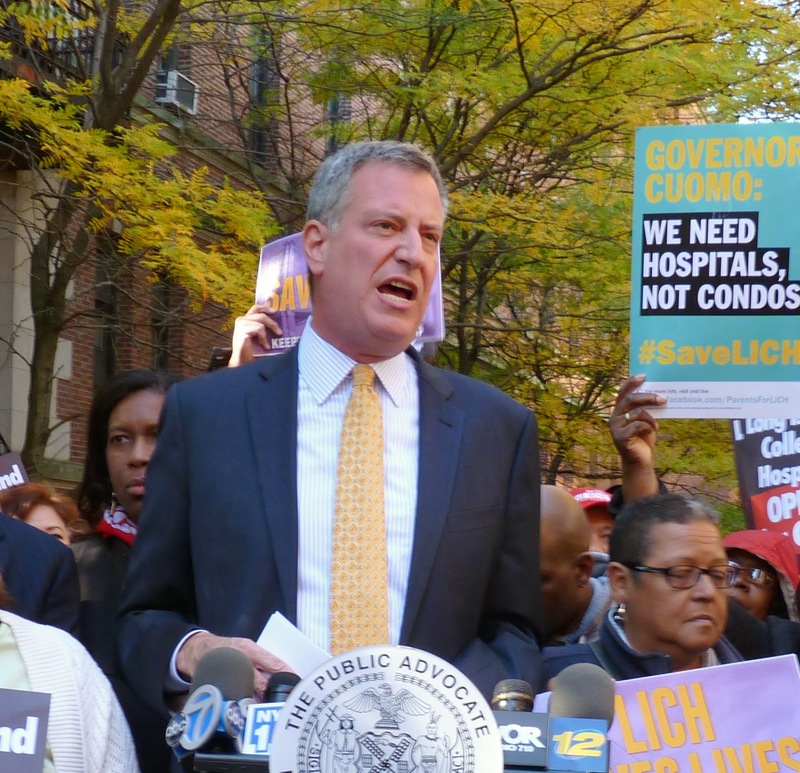 Question: Is this the time to close Long Island College Hospital? As part of his effort to make sure there's no funny business with the city's pension fund investments, New York City Comptroller Scott M. Stringer announced on Monday that all five New York City pension funds have passed a resolution to ban placement agents. Placement agents act as intermediaries to connect asset managers and investors, and can be a weak ethical link. 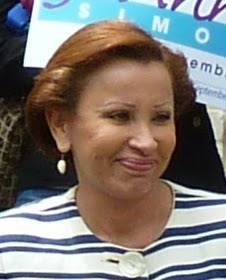 In a speech, Stringer said that the ban would help avoid a pay-to-play scandal, like other funds have experienced in recent years. The newly-enacted ban is part of a six-point reform package for the operations of the Comptroller’s Office Bureau of Asset Management. The New York City Pension Funds are composed of the New York City Employees’ Retirement System, Teachers’ Retirement System, New York City Police Pension Fund, New York City Fire Department Pension Fund, and the Board of Education Retirement System. 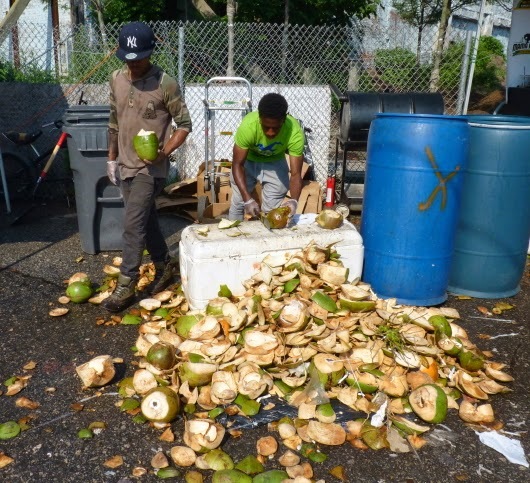 The Brooklyn Chamber of Commerce announced it will be holding its annual Brooklyn Eats food and beverage trade show on June 27 at 630 Flushing Avenue in S. Williamsburg. Fairway President and CEO Bill Sanford will speak about how food manufacturers can get their products on the shelves. "Brooklyn Eats is the hottest food show in Brooklyn - and it's where our food and beverage companies make the jump from flea market tables to store shelves," said Chamber President and CEO Carlo A. Scissura in a statement. "It is the one show that brings makers and buyers together for business while allowing the public experience the foods and beverages that are on the forefront of Brooklyn's food scene." Brooklyn's food scene has been a growing part of the borough's economy for several years, the Chamber says. 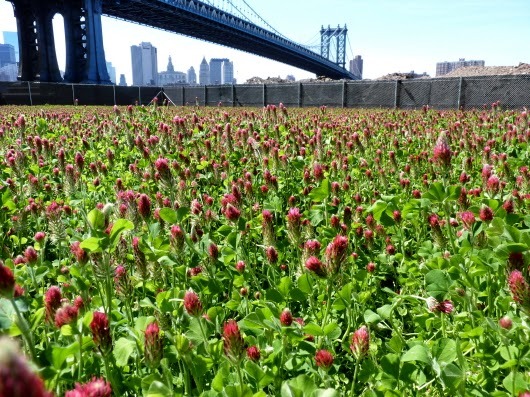 The food and beverage sector accounts for 27% of all manufacturing employees in Brooklyn. Located at 630 Flushing Avenue, the show opens to the public at 10:00 am, and from 3:00 - 5:00 pm Brooklyn Eats will be open exclusively to food/beverage buyers. For more info, tickets, and directions visit www.brooklyneats.com. State Senators Daniel Squadron and Martin Dilan and members of the Riders Alliance sent us aan email hailing a 25 percent increase in afternoon and evening G train service that starts today (Monday, June 9). Better G train service will help up to 125,000 people on an average weekday. The MTA agreed to add this new G train service after undertaking a Full Line Review of the G train, as requested by State Senators Squadron and Dilan. 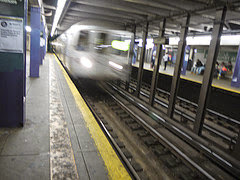 The review incorporated recommendations made by the Riders Alliance at the request of its members who ride the G.
Senator Squadron said in a statement, "I’m glad the MTA was responsive to our request for a full line review, and for implementing these important service upgrades. I look forward to continuing to work with the MTA, Riders Alliance, and my colleagues on continued service improvements and full-line reviews across the system." Alexis Saba, a Riders Alliance member who lives off of the Metropolitan Avenue G train station and pushed for better G train service, said, "Riders who have to suffer through crowded trains and irregular G train service finally get some relief. This win shows that when riders speak up, the MTA will listen." Nydia Velazquez and Bill de Blasio showed off some dance moves and everyone wanted to be on the picture with Carlos Menchaca at Sunday's Puerto Rican Day Parade in NYC. 3 p.m. Marching Band Kick-off, Readings Around The Clock From 4 p.m. - 4 p.m.
Urban Librarians Unite (ULU) will be holding a 24 Hour Read-In rally to support New York City public libraries at Brooklyn's Central Branch. ULU is calling for a $65 million increase to the mayor’s proposed library budget to provide six-day-service in branches across the city. Sign up for a 15 minute reading timeslot. All are welcome to read, or simply enjoy this literary carnival and the marching band and weather balloons. Readers include authors Maud Newton, Lev Grossman, Amy Sohn and Marek Waldorf. Readings will span multiple genres and include teen novels, late night spooks and Sunday morning family tales. 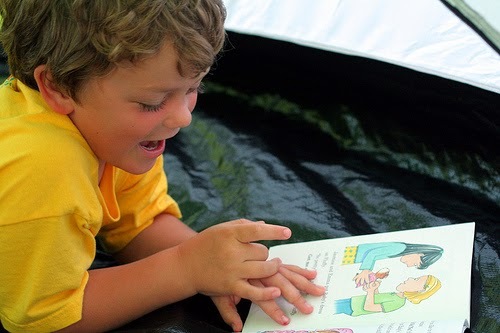 This is a literary event for all ages in support of all three library systems. Library usage is higher than it has ever been yet the budgets for the libraries is 20% lower than it was in 2008. To commemorate the 70th Anniversary of D-Day, an organization called The French Will Never Forget will conduct a helicopter flyover and ceremonial release of one million rose petals (weather permitting) over the Statue of Liberty today, Friday, June 6, between 11:30 AM – 12 PM. The activity will consist of two AS365 helicopters executing the petal release and one additional helicopter for filming at an altitude of approximately 100 feet above the statue. This event is expected to last approximately 5-7 minutes. Two gigantic French and American flags of the association, which are very symbolic as they have been used in all the other events of the association including on Omaha Beach, will be unfurled at the statue's feet by over 100 French and American children. 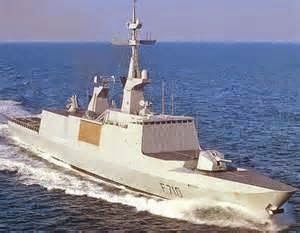 In addition, the French Naval Frigate Lafayette will participate by positioning itself adjacent to the Statue of Liberty in the Hudson River from 10 AM – 2 PM. A 21-gun salute will be conducted at approximately 12 PM. A reception on Liberty Island will follow the event. Dignitaries will speak, WWII veterans will be recognized, Honor Guards will be present, and both national anthems will be performed. The U.S. Coast Guard will provide a safety zone in the Hudson River for the aviation activity and the positioning of the frigate. 73,000 US Army troops engaged in the largest amphibious landing in history. By the end of the Day the liberation of France had begun and 2,500 young Americans had made the ultimate sacrifice. The French people today will express their gratitude to America, their oldest friend and ally, for their regained freedom. Because of the Jewish holiday, today's scheduled Long Island College Hospital (LICH) hearing (part 2 of LICH supporters' challenge of the RFP) has been put off until next Tuesday. So all of Brooklyn can sleep in one morning instead of lining up outside Justice Johnny Lee Baynes' courtroom. Today at 5:30 PM, Brooklyn Borough President Eric Adams will host a “Safety + Awareness Event” in the courtroom of Borough Hall. This event, part of National Safety Awareness Month, will promote personal protection and well-being for families and children. Activities will consist of home safety and self-defense workshops for youth as well as adults throughout the evening from its start until 8:00 PM. The occasion will be co-sponsored by New York Life in partnership with the NYPD, FDNY, OEM Ready New York and WMA Karate. Home safety workshops will include important tips for preventing carbon monoxide poisoning and CPR training." Long Island College Hospital was once a training ground for doctors. Now, it's where lawyers cut their teeth on the law. Whole schools of lawyers will return to Brooklyn court as LICH supporters appear before state Supreme Court Justice Johnny Lee Baynes with hope that he will somehow right this train wreck. The issue tomorrow, for those who missed a day or so, is that crazy ranking of bids that didn't adhere to the RFP. 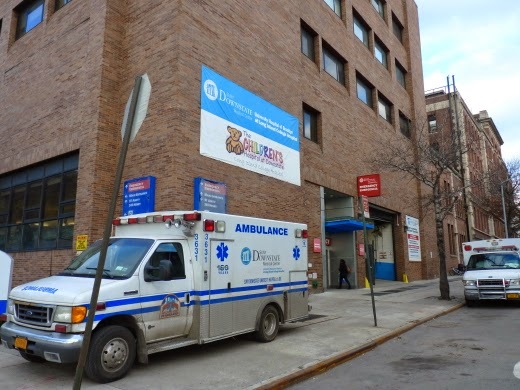 "Attorney Jim Walden, of Gibson, Dunn & Crutcher, told the Brooklyn Eagle that the LICH community filed a motion at state Supreme Court in Brooklyn on Friday to throw out the rankings turned in by six of the hospital bid evaluators. Supporters say these evaluators did not follow instructions to award more points to full-service hospital proposals, the key feature of a landmark legal settlement." No doubt this will set off a cascade of lawsuits -- Fortis has to countersue, and maybe Peebles as well. A press conference/ rally will tke place aat the courthouse in Boro Hall Plaza at 9 a.m.